Michael has been teaching this program to satisfied customers since 1995. This is a complete package for playing a successful game of blackjack. This five hour class can be presented as a private lesson or for a group of up to six people. The course can be tailor to suit the needs of a experienced player or novice. It is Michael’s intention to provide you with the best lesson for your invested time and money. Prospective clients receive a pre-program interview by Michael. This insures that what you are looking for and what you need to improve your game will be delivered as promised. You will be assured that your expectations will be met, just as they have been, for countless other satisfied clients, since 1995. Here’s what you will experience. Basic Strategy, all the correct plays. All this plus your personal questions to Michael, expertly addressed from years of commitment, study, and casino play. Blackjack For Winners provides you with the education to empower your performance and provide you with a “unique knowledge”. You will learn how to sense the “energy” of a game. From the energy, you will recognize subtle important messages like when to enter and leave a game. The next time you take a gaming vacation, it is possible that you will be able to pay for your entire holiday, compliments of the casino, when you are Playing 4 Keeps™. Michael’s Blackjack for Winners™ playbook included. How to play a precise playing strategy. How to take advantage of favorable odds. How to play with discipline. How to play offense and know when to play defense. How to apply metaphysical tactics to your advantage. How to perceive subliminal signs of important information. 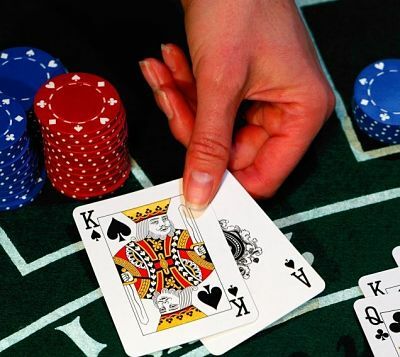 How to select the best table, dealer and casino. All the rule changes and recognize the fairest game. To apply knowledge and skill for Winning Results! Blackjack is the only casino game with variable odds. Favorable odds can be identified by a skilled player armed with knowledge and experience. Blackjack for Winners™ will provide you with everything that you need to win playing Twenty-One. You will learn a system for counting cards and a precise strategy for playing each hand that is easy and it will not drive you crazy. You will eliminate all of the guesswork. You will know the correct play for any hand. You will be shown metaphysical techniques that add a totally new dimension to the game. Michael Vernon is the only gaming instructor using these metaphysical techniques for Blackjack. This program includes experiencing a “prosperity consciousness” that affirms your intention that winning money is easy. It is like riding a bicycle. All you have to do is shift your mind-set to prosperity, dedicate yourself to abundance, and count yourself in. A five-star world is waiting for you to arrive. Blackjack for Winners™ is for the blackjack player with a heart for casino action and a passion for the excitement that can only come from winning money. The formula is simple. Michael can show you how! Casinos are now operating in almost every state in the USA. Table games like Twenty-one, Craps, Poker, and Roulette are increasing in their popularity. Casinos are having a hay-day with unskilled Blackjack players. The majority of players seem to know very little about the game. It is not as simple of a game, as it may appear. It is a huge mistake to gamble on ‘luck’, or trying to win by guessing.” There are assured strategies here. 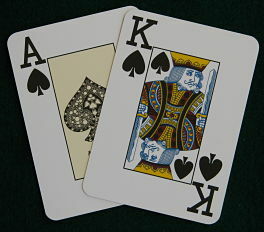 The Blackjack table has a way of mirroring a person’s energy back to him or her. The energy, which a player takes to a table, is expressed back to them as a result of their play. These days, it is imperative that knowledge be employed. Playing smarter, like a winner, is the Playing 4 Keeps™ way, if you intend to win. To do that, you must know the game and give yourself every advantage possible. Losing is not fun. Yet some players don’t know, or seem to not care, that it is possible to avoid losing sessions with added knowledge. Uninformed players fail, only because they fail to invest in themselves with knowledge. Blackjack is like a successful life – the more you know the better off you will be. There is so much more to the game than meets the eye. I will show you the secret information from behind the “veil”. I have made the investment to know each aspect of the game. I know how to win and I am willing to share this esoteric knowledge with those individuals who are ready to step up and enrich their lives Playing 4 Keeps™. Blackjack lessons also available by the hourly rate of $125 per hour. Deal yourself a winning hand! Contact Michael Vernon for your Blackjack for Winners™ lesson. Share the post "Blackjack Coaching"